Do you love picnics? Dressed down with sandwiches and a flask of tea at the seaside, or glammed up with champagne and a candelabra for a classical concert. Everyone loves a picnic, with a soft, warm, waterproof picnic blanket to relax on in comfort. 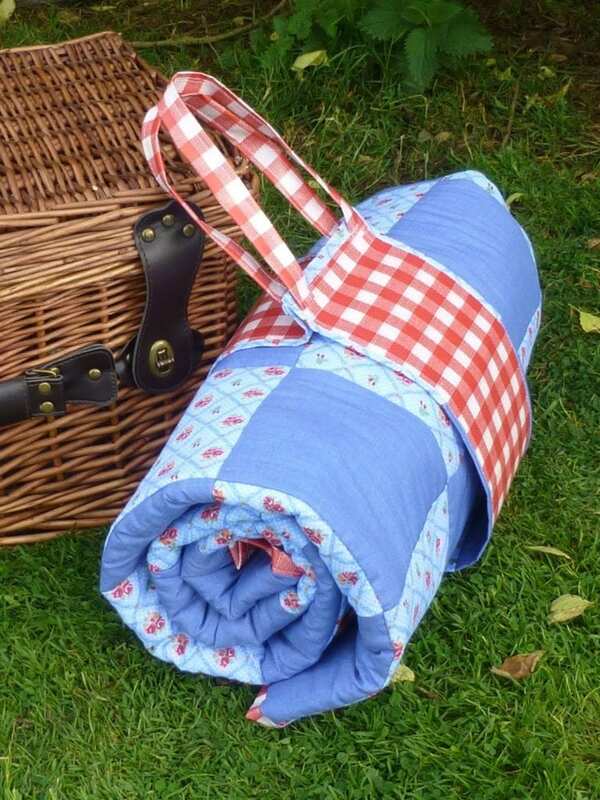 Make your picnic a special one with this waterproof patchwork picnic blanket and carry pack. The carry pack with handles means that it’s compact and easy to transport. Perfect, right? This Washable Reusable Bowl Covers is a good add-on to your blanket and carry pack project.